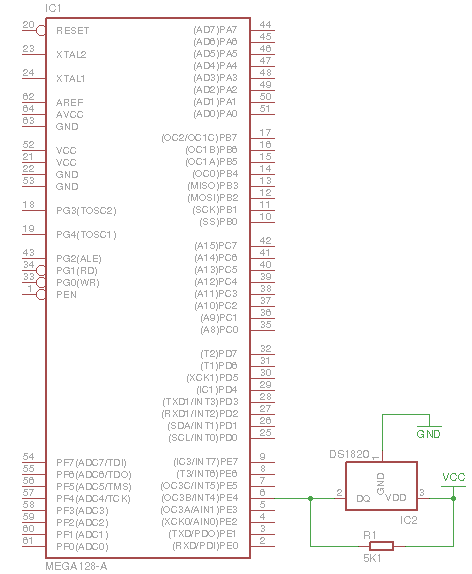 The DS18B20 is also from Maxim Integrated™ and information about it can be found here. The one on my board is in a TO-92 package so it looks the same as a transistor. 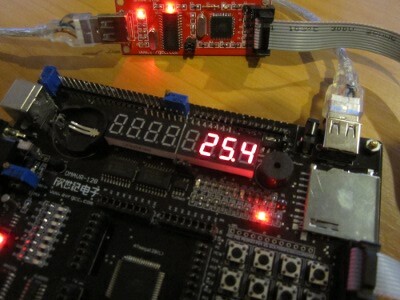 It's got a temperature measure range of -55°C to +125°C and only takes up 1 IO pin. _delay_us(59); //delay to meet write time slot req. //initialize, send rom command "skip rom" and function command "read scratchpad"
//initialize, send rom command "skip rom" and function command "convert t"